Barkworthies Large Beef Gullet Strip Dog Treats are wholesome, long-lasting chews sourced from high-quality beef. They’re all-natural dog treats that are a wonderful source of glucosamine for joint health. 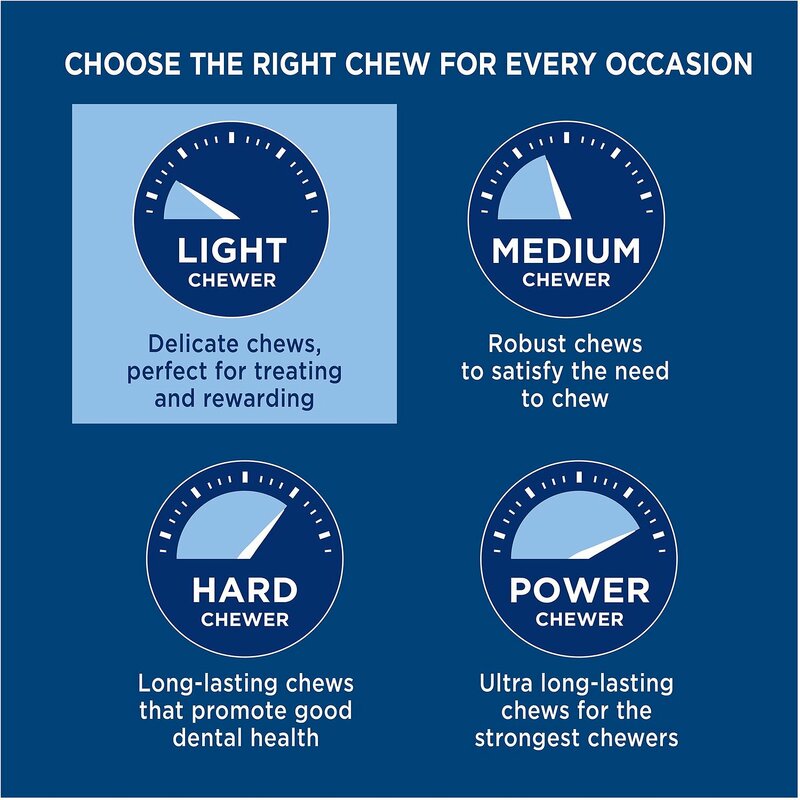 These additive-free, preservative and chemical free chews also clean your pup’s teeth while she gnaws away. They’re a delicious reward that can be given as a snack or in bite size pieces for training. I used to buy these in a store but the store no longer carries them. I buy several of these at one time from Chewy and keep them in a ziplock bag in my refrigerator. I cut a piece off of one (about 4 inches) and give to my Toy Poodle. She chews on it for a while until it is gone. I do not give them to her on a daily basis, every other day is good for her. Regardless if you have a small dog or big dog, your dog should not be left alone with any type of chew bone or chew treats. I will continue to order these as long as Chewy supplies them. 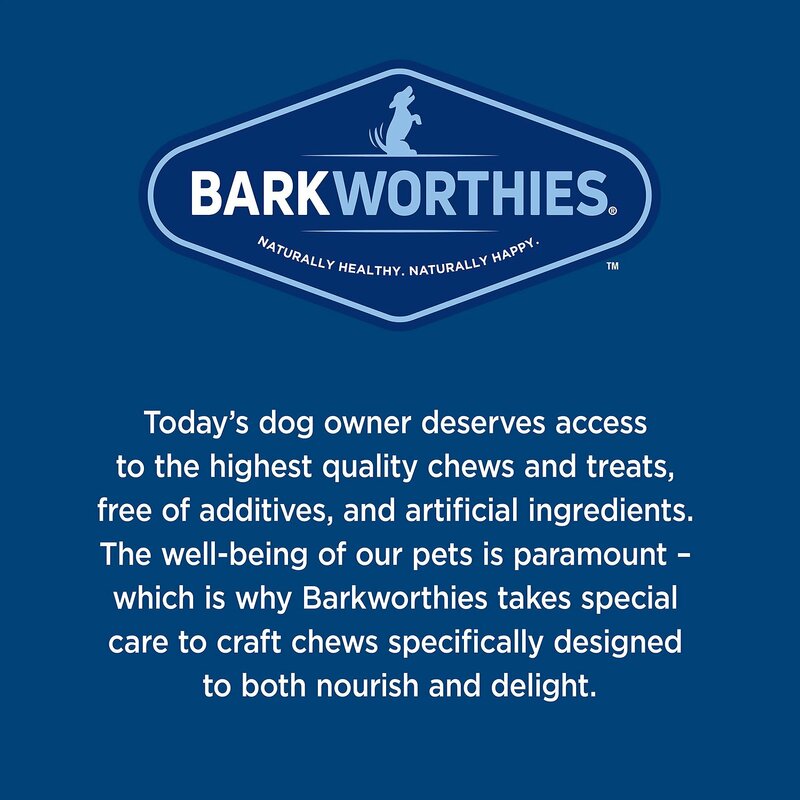 Barkworthies is a great product and usually lasts a long time for our medium-sized dog, who chews up treats quickly. 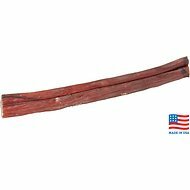 I switched from a thicker Barkworthies bully stick to this product just to see how our dog liked it. It was so thin that our dog had it eaten within 5 minutes. I'll go back to the thicker bully stick. Both of my German Shepherds (the 6-month old puppy and the 3-year old picky eater) gobbled them up. I will be buying more -- going to try the shorter ones next to see if we like them as well. Stretch a dollar anyway we can! I had hoped these would give some resistance to being almost swallowed whole, but my dog Ava managed to do so in less than a minute even though they were a foot long. She did find them tasty though. If you are not expecting these to be a chewing treat - they are great! 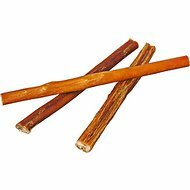 I miss the bully sticks! We were buying bully sticks and they kept being out of stock. So I called and was told Chewy is no longer selling them. So I asked for an alternative and was told about the Gullet strips. They are ok but my dogs eat them too fast. They don't last like the bully sticks. Not worth your money, I have labs and they have it gone before I finish putting the box away. Going back to Bully Sticks, they are worth the money! My two dogs love these treats. They go crazy when they see me pull them out of the cupboard. Don't stink like bully sticks. My Am Bulldog Mix has a tendency of choking on certain treats like bully sticks and she has no issues with these gullet strips. My dog really loves these Barkworthies. She takes off like a bullet to enjoy them in the privacy of her own spot! I’m sure your dog will love them too! Always keep an eye on your dog when given a chewy treat! 3 Times The Price of the 6" Ones! My dog likes these, but it upsets me that these 12" ones are 3 times the price of the 6" ones! Since I buy several at a time, I can't justify this. Just buy two 6" ones for $1.38 instead of paying $2.09 for these! !